Hello - I'm new here, so I'm still finding my way around and will start by introducing Gnome Miniature Engineering (http://gnomengineers.com/). This is a (very!) 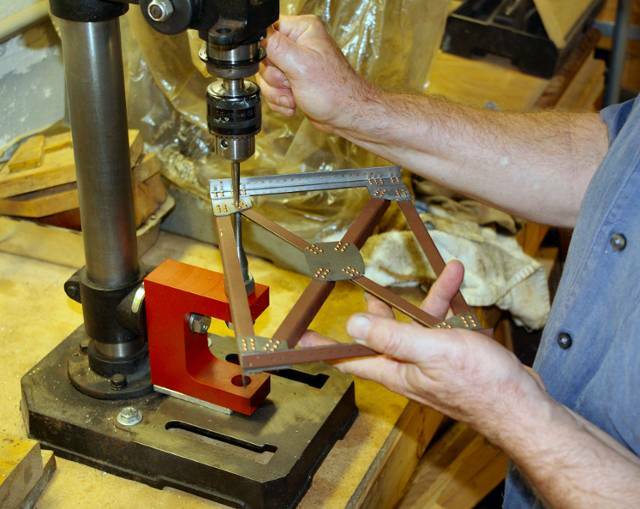 small business building riveted bridges for 0 and larger scales. 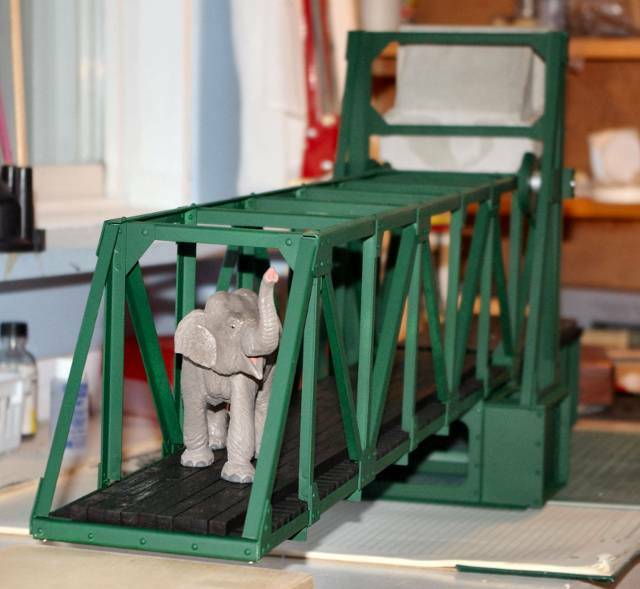 We started out with the intention of building turntables, but a good friend said that what the 0 scale market really wanted was an operating bascule bridge. He was nearly right... The market talked about bascules, all right, but wasn't much interested in buying them. 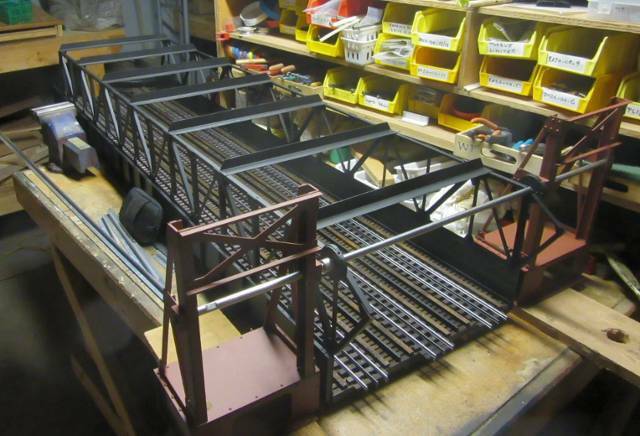 We still have some parts in stock and will assemble them if asked, but really, the plate girders and trusses are what most people want. Because they are hand built from many standard parts, they are easily customised, and almost everything is altered one way or another for the customer. 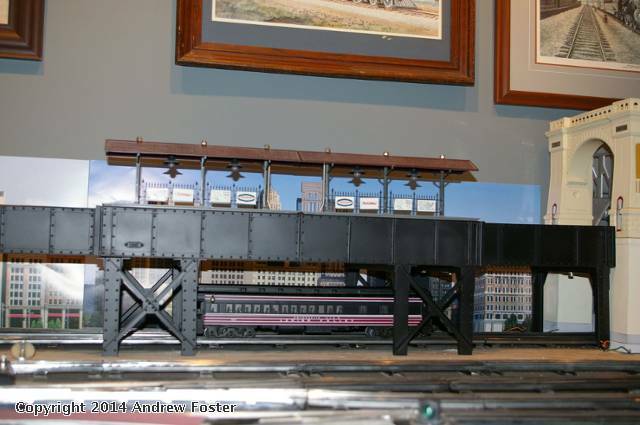 We've had a few completely special projects, including a steel bridge to display a 7 1/4" gauge live steam engine, now in Istanbul, and some specials based on existing designs, such as a 25 ft long elevated viaduct for a large 0 gauge railway. 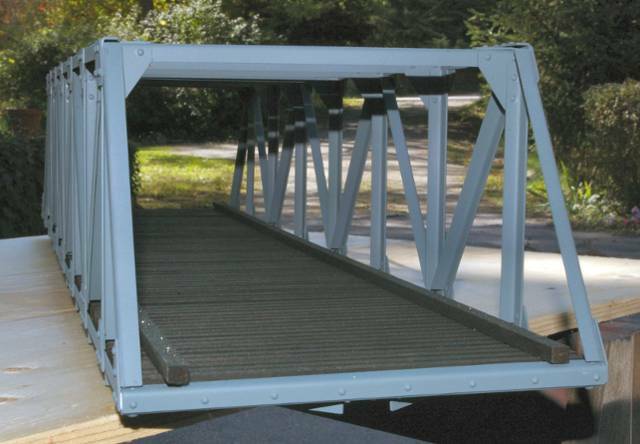 Most bridges are in alumnium alloy with stainless hardware for outdoor use. The rivets are real, and the latest special has about 10,000 of them, which is why delivery can sometimes be a bit slow. I find that a lot of people "borrow" the outlines from the website, and they are very welcome to do that. If you don't need a riveted metal structure and want to build your own, then there's no reason why you shouldn't base yours on something that appeals to you. It will surely cost less! I'm always interested to hear comments and opinions on the GME bridges, as feedback makes for better products. Outstanding Andrew, thanks for sharing with us. I hope you will post more photos over time, it sounds like your group has a really great inventory of bridges. Are the bridges riveted by hand? shows a riveting press based on the frame of a small drill press that has set many thousands of rivets. It's almost as quick as an automated machine and much safer for the operator. Many rivets are hard to reach, so there's an assortment of special anvils, drifts, punches and so on for them. Labor of love, for sure. I'm sure most of us in the Hobby can appreciate the effort that goes into this. You mentioned laser cutting, is that the aluminum you laser through? shows the parts for a TR24, laser cut and ready for bending and assembly. Deburring is the worst job of all, but easier with steel, as the cut is much cleaner. The real labour of love will come when I finally get to build my own railway! Here's a little display made for a show recently, with Bruce the elephant again deputising for a locomotive. He attracts a lot of attention from the smaller visitors. I had a request for a pair of extra height bridges that would take double stack container cars, and had to drag myself into the 21st century to do it. I used a good number of existing parts to try to keep the price under control, so they are taller versions of the double track bridge shown earlier. I think this is the limit of this design without considerable rework. Good thing they are all built using underpaid and abused immigrant labour! I haven't been around here for a while - some catching up to be done! I'd forgotten that my last post was about the two special extra height bridges, and oddly enough, they just showed up for sale on ebay... unused! I am not sure what to make of that. Last year I had a lesson in saying "NO!!!" when asked for something beyond me. A very persistent customer wanted a five foot long, extra height, three track 0 scale bascule bridge to go across a doorway. I told him, "No - I have a two foot, single track, low headroom bridge that I could stretch a little, but this is too much of a stretch". Anyway, I eventually weakened, and he ended up with a monster built from parts of four bascules, two through trusses, four plate girders, and an all new deck. The deck was the best part, I have to confess. (The photo shows it before the counterweights were installed). I decided to take on fewer specials after that experience!